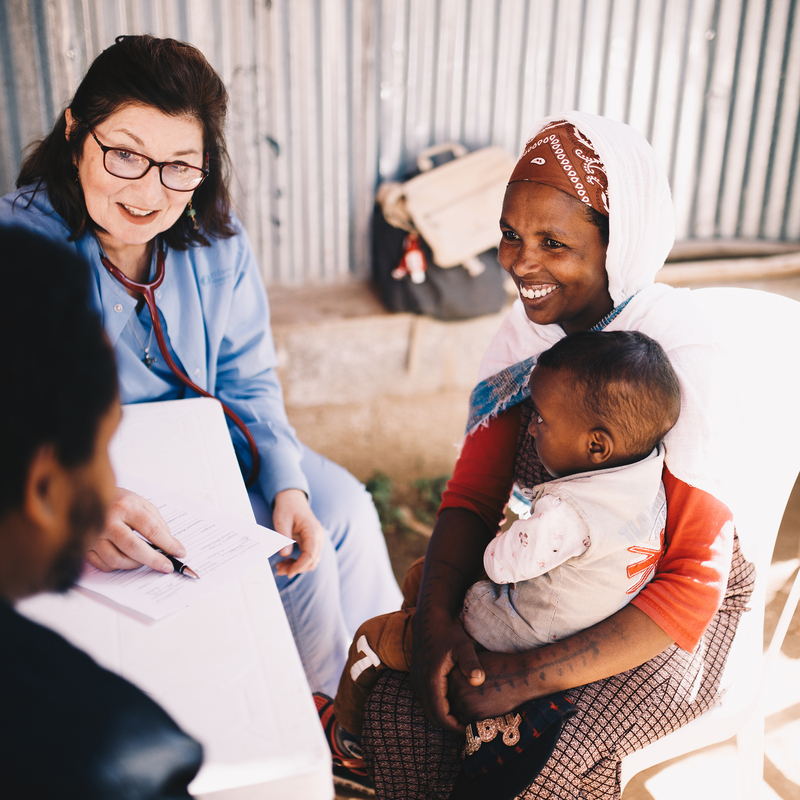 Medical Teams are an important and valuable part of the Ethiopia ACT ministry. 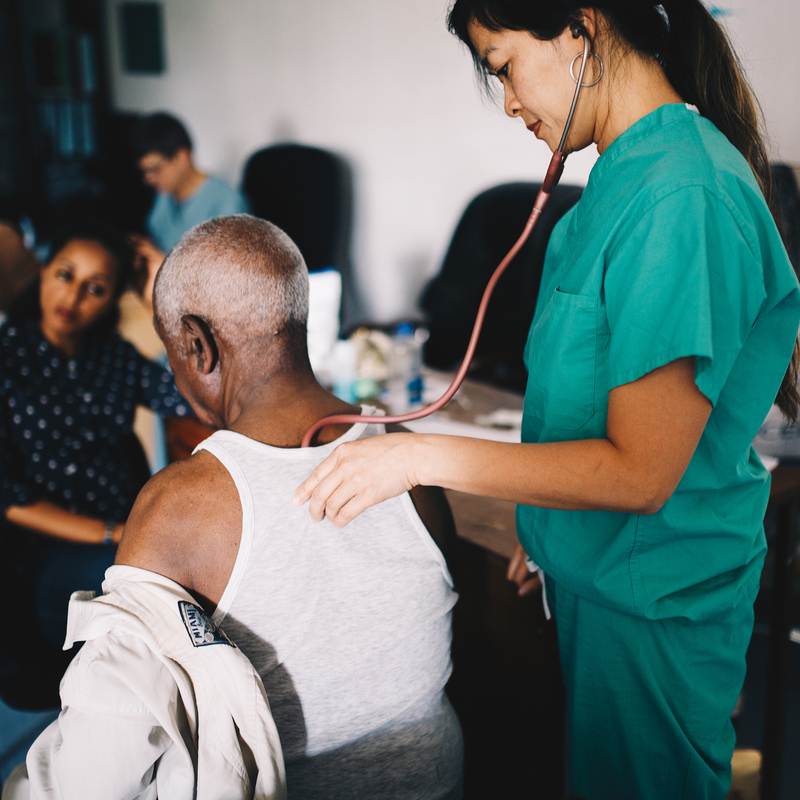 We have multiple Medical Teams that come annually to assist our medical staff thus allowing us to serve otherwise unreached people in the community outside of our beneficiary program. 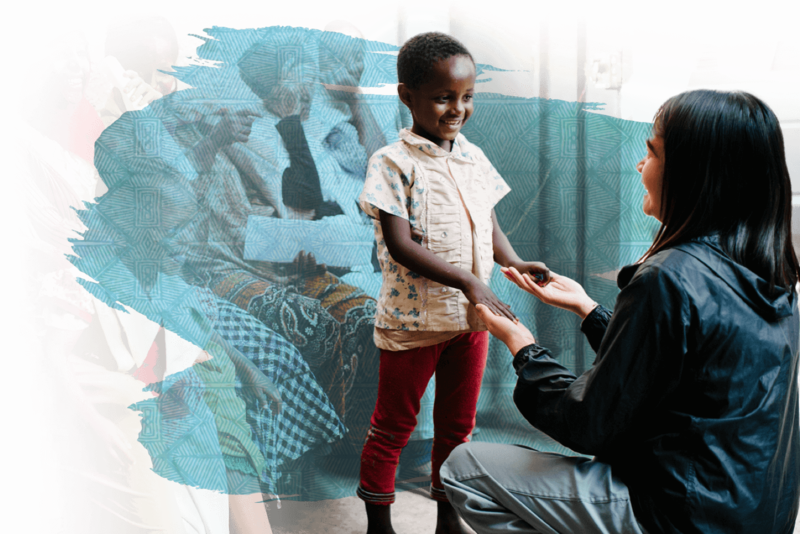 Please consider serving our ministry by joining a Medical Team. Interested in joining a medical team? 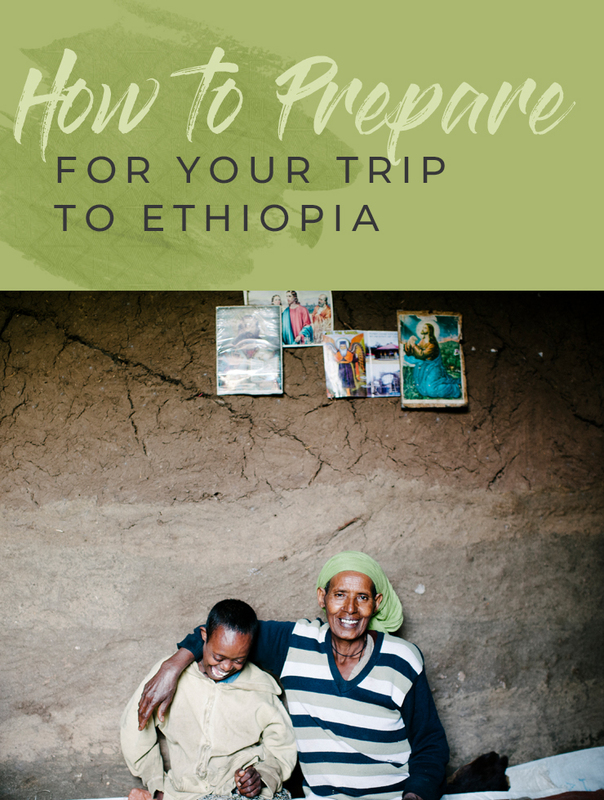 Download the free ebook: "How to Prepare for Your Trip to Ethiopia"
This depends on the makeup of the team and the needs of the project. 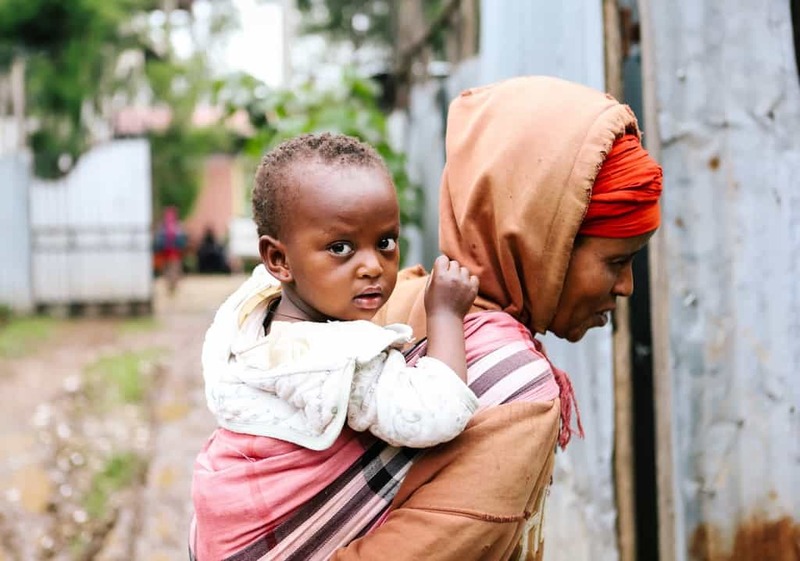 Most teams make home visits, hold medical clinics, work with support groups and with children. Your team leader will get your time and activity schedule two weeks before departure. Can I join a trip if I have no medical experience? We are HAPPY to have you join us on a trip! We have many areas you can still serve. - Water bottle and sunscreen - Addis Ababa is very high at 7500 to 8000 feet. You will feel the altitude. There is filtered water available at the team house and project office. Filtered water can also be purchased in restaurants and shops around the city. The most important things to remember are to stay hydrated and to project yourself from the sun. - Hand sanitizer - have a small bottle to keep in your pocket or backpack and perhaps a larger bottle to use for refills. Use this often! - Bug spray - we don’t have malaria in Addis Ababa, but we do have mosquitos and other biting insects. - Snacks - if you have a favorite food that is hard to do without. - Personal medicines - not for project use. - Camera - you are going to want to record this! Clothing: The team house has laundry facilities and a helper who will do your laundry for you during your stay. You won’t need a change of clothes for every day. It can take a couple days for clothes to dry, so include this in your planning.Women: Casual attire. Slacks, long shorts, jeans (preferable). With culture in mind, it is best to dress modestly. Church attire - skirt or dress.Men: Casual attire. No offensive text on shirts.All: Comfortable shoes for walking are important. A raincoat is important during the rainy season (June to September) and for short rains in April. A light jacket or sweater will be helpful for the cool evenings and mornings. Linens: The team house provides linens (sheets, blankets, pillows, and towels). Team leaders: You need to plan space for medicines and supplies for the team’s work with the project. Use suitcases. Do not bring anything packed in boxes or footlockers. Spread out medicines and supplies among the the team. Do not fill up suitcases with one thing. Remove as much unnecessary packaging as possible. Never bring expired medicines. The Ethiopian government has strict rules regarding expiration dates and bringing expired medicines places the project as risk. If they are within six months of the printed expiration date, do not bring them. Check the CDC website for current requirements for Ethiopia. Addis Ababa is too high for the malaria-carrying mosquitoes and thus does not require the malaria prophylaxis. Rabies is common, but the vaccine is not required for short-term teams. DON’T PET ANY ANIMALS. If you are coming for longer than 3 months, you will be required to get all recommended vaccines: rabies, typhoid, Hep A, Hep B, and meningitis. How do I get medical credentials? Those coming through MTW:The MTW medical department will assist you in making it as efficient as possible. Transcripts - If the originals are not in English they should be properly translated, signed & sealed by notary public of legal translator. Duly legalized photocopy of all professional documents (Certificate Diploma Degree, transcript etc). If the originals are not in English they should be properly translated, signed & sealed by notary public of legal translator. Passport photo page – photocopy. Current license from country of origin/not applicable to new graduates within the country. We realize this is a lot of paperwork, and most countries don’t require this kind of documentation, but Ethiopia will not issue a license without all the documents. 1. Secure a visa before leaving the US. Click this link for all requirements. What are we doing for housing and food? Housing:Whether you are staying at Ethiopia Act’s guest house or another guest house nearby, it will be clean and comfortable. There will be a large dining area and sitting area. There is hot water and electricity (most of the time), and laundry services are provided by the guest house staff. Food:If you are staying in the Ethiopia ACT guest house a full-time cook and housekeeper will provide most of your meals. Meal times depend on the team’s schedules. Other guest houses will have their own schedules. Breakfast Monday-Friday is served at 7:30AM. Saturday and Sunday are self-serve. There will be food such as cereal, eggs, and fresh-baked bread or rolls that you are free to fix for yourself. If anything is running low, please let a staff member know. Lunches will be eaten out or be bag-lunches. Dinners will most often be at the guest house and housekeepers will prepare these. The ACT team house staff does not work on Sundays, but will have prepared a pot of soup or stew to be warmed up and eaten for lunch or dinner, and one meal will need to be eaten at a restaurant. We want you to enjoy your time in Ethiopia, and nothing will spoil your experience faster than being sick. The most important rule is NEVER DRINK UNFILTERED WATER. Nothing from the tap should go in your mouth. This includes brushing your teeth! Everything served in any of the guest houses will be safe to eat. However, when you are out, these are the rules to follow: Never eat fresh salads or unpeeled/uncooked fruits or vegetables. Do not eat raw or undercooked meat.There will be filtered and bottled water available in the team house. How do we get money? Your team leader will organize getting money with one of the project staff. Bring a debit or credit card as ATMs are widely available and are a safe and easy way to get cash. Few stores and restaurants take credit cards, so you will need to get cash for any personal expenses. Expenses such as lodging, meals, and transportation are covered by your team.You should only need money for souvenirs. It is best if the team leader organizes to exchange money as a group. How do teams do finances? Appoint a team treasurer. The treasurer should be responsible for exchanging money, paying bills, and keeping track of receipts. He/She will need to work closely with the project accountant. Keeping good records makes life easier for everyone, so choosing a detail-oriented person helps with this. Keep team and personal money separate. Always ask for a receipt. Why are we bringing Supplies (particularly medicines)? Teams are asked to bring supplies for both the project’s ongoing use and for the team to use while they are in Ethiopia. It is helpful to keep these two things distinct. Ongoing use The project stocks its own pharmacy for the care of its beneficiaries. These are usually drugs that are unavailable in Ethiopia or prohibitively expensive. We will send a list of these drugs to the team leader. We request the teams pay for these medications. 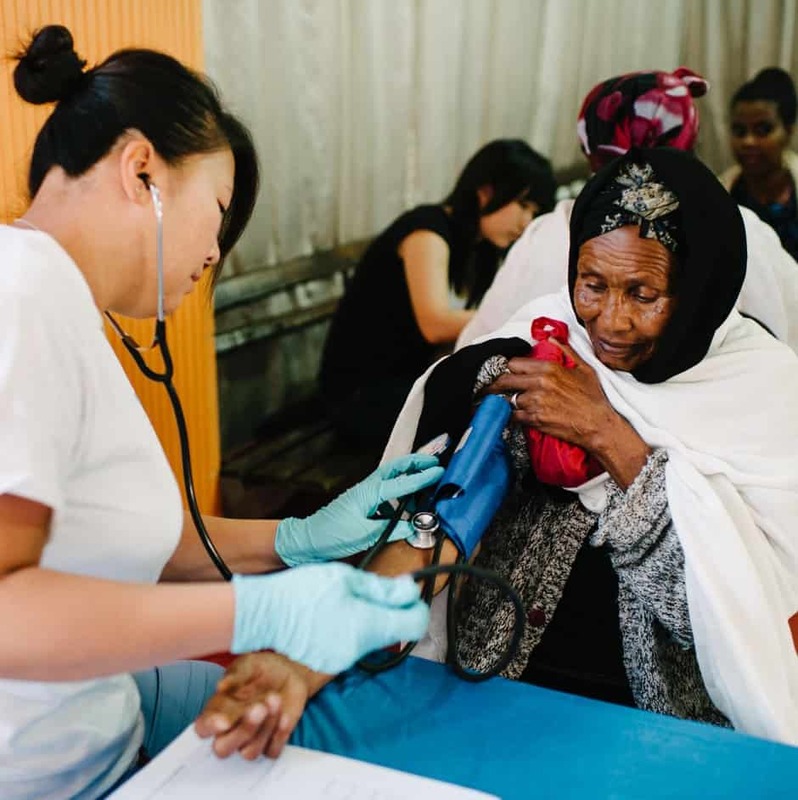 Used by Team in Clinics Teams will pay for medicines and supplies they intend to use in clinic, and the project will provide an estimate of what they will need for team clinical use. Teams will also be expected to pay for any medical tests like x-rays and blood work done by an outside laboratory. These expenses have been worked into your Team Budget.As a ministry, we depend on your support for both ongoing care and care in clinics. 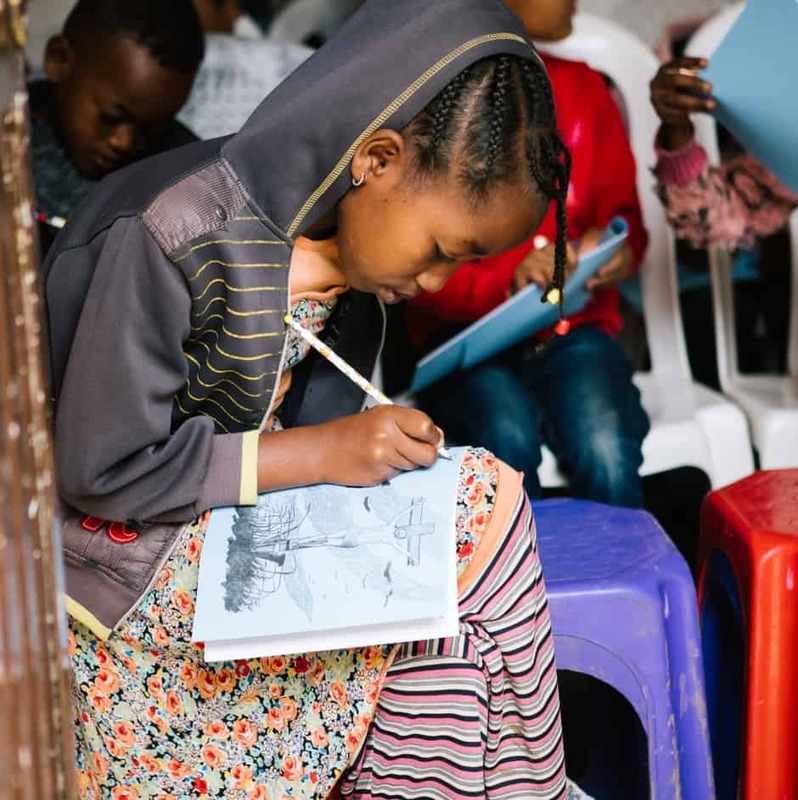 We appreciate this important contribution.The project may also ask teams to bring other supplies such as: clothing, shoes for the children, and personal items for missionaries and staff members. We will communicate with you about this beforehand via email. What are Do's and Don'ts on the trip? - Be respectful of police and local authorities. You are a guest in Ethiopia. Let a staff member know if you have contact or interaction with police or other government officials. - Always travel in pairs or a group if leaving the compound. Let someone on the team know if you are going out and who is with you. - Be aware there are thieves in the area. Keep money in front pockets, keep bags close to you, and keep a close eye on your camera and other valuables. - Be discreet when taking photos. It’s best to take photos after establishing some relationship with the person. We’ll let you know when it is appropriate. - Don’t take pictures of government buildings, police, soldiers, etc. - Don’t carry important papers around with you. Passports, tickets, extra money, and other important papers should be locked up in the safe in the office. - Don’t take out large amounts of money in public. You will encounter beggars on the streets and will need to have a plan as to how you will respond. Keep some small bills or coins handy if you want to give to a beggar or to pay for a souvenir. Can we use our cell phone in Ethiopia? Contact your cell carrier for info on your phone’s usage in Ethiopia. IT infrastructure is always improving in Ethiopia - what you are able to do changes from time to time. Do some research to see what the latest situation is. Do we have Internet access during our trip? Wireless Internet is (usually) available at our office and in the team house. Check with your cell provider to see if there is global internet available to you outside of the team house wifi. Will there be time to shop for souvenirs? We will arrange a time for shopping. Ethiopia is well known for the Orthodox crosses, beautiful textiles, intricately woven baskets, and some of the world’s best coffee. You’ll certainly want to take a few things home with you. What to expect at the airport? Addis Ababa’s modern airport should not give you any surprises. After landing, your first stop will be the option to purchase your visa if you did not obtain yours in advance. Your next stop will be Immigration. Show your passport with its visa. Next, collect your luggage and go through Customs. Do not hire a porter or accept help with bags from anyone, but do use the free luggage carts in the terminal. All bags (including purses, backpacks, and other land luggage) may be x-rayed. It is best to go through Customs one or two at a time and not as a large group. Do not volunteer information such as “we are a part of a medical team bringing medicines and equipment.” Answer questions politely and honestly, but don’t offer more than what is asked. If questioned further, you can explain that you are “in Ethiopia for a short visit to assist with an HIV/AIDS project.” If asked to open a bag, please cooperate; you shouldn’t be bringing anything that will be a problem. If the customs officer tells you that customs must be paid, get your team leader. He/She will have documents describing the supplies. If the officer insists on charging customs, ask him to hold the supplies and complete the required forms for clearing the supplies later. Make sure Ethiopia Act’s name appears on the form beside your name so a project staff member can clear the goods without you having to return to the airport. Once you leave customs, you will enter the main arrival hall. You will need to leave the arrival hall and exit the building and go to the parking lot as a group. Someone will be waiting to meet you. He will have a sign with the Ethiopia Act logo. Now is the time to gather everyone together to ensure everyone is present with all luggage. While there is not a lot of crime is Addis Ababa, you do need to keep an eye on your luggage, particularly smaller items. When everything and everyone is in order, get on the bus arranged by Getts Travel. They have wonderful buses, vans, and drivers. They will supervise loading luggage.Welcome to Ethiopia! If luggage is missing: missing luggage will need to be reported. There is a desk at the far end of the luggage hall. Sometimes compensation will be paid, so it never hurts to ask. Once you have your paperwork, you can proceed to customs to clear any luggage that did arrive. If somehow no one is at the airport to meet you: you will need to find a payphone or friendly person with a cell phone and call Gizaw (091-264-9760), Danny (091-142-9123), or Teddy (091-261-5554).